The cost of the RV and how much you can afford to pay each month are important factors when deciding between a new or used RV, but there are several other factors to consider too. If you are only going to use the RV two weeks out of the year, a used RV might be your best decision. On the other hand, if you are planning on going fulltiming or traveling cross-country, a new RV with a full warranty would be a more logical choice. Speaking of warranty, if you do decide a used RV is your best choice, check to see if there is any type of warranty available. If you buy a used RV from a private owner it is normally “AS IS” with no warranty. This is true with many RV dealers too. Replacing an RV refrigerator or other major appliance can be very costly. 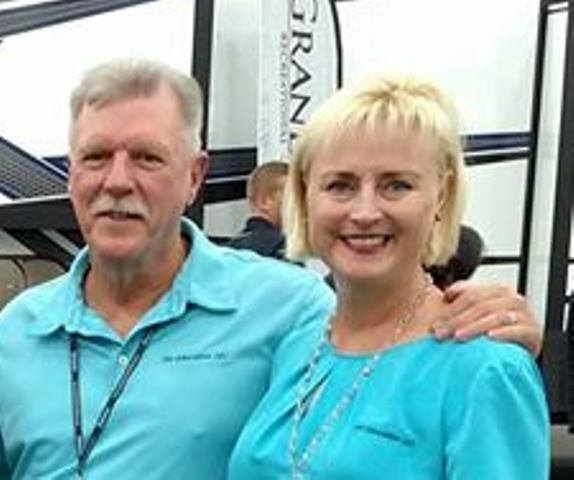 Most RV dealers will offer an extended service plan or contract if the used RV meets the service plan criteria. You can also purchase these plans from RV clubs and reputable websites on the Internet. The age of the unit will factor into the cost of the plan but you should be able to negotiate with the dealer concerning a service plan. Make sure you read all of the fine print and understand exactly what is covered and what is not covered in any type of service plan or contract you purchase. Many times service plans offer different levels of coverage based on the cost of the plan. You also want to make sure that other RV dealers and repair facilities will honor the service plan you purchase. It won’t do you any good if you need repairs while you’re traveling and nobody will honor the plan. Another factor to consider between buying new or used is how long you plan to keep the RV. What I mean by this is if you buy an RV with the thought in mind that as soon as you get your next pay raise you’re going to upgrade to a larger RV, it would be best to consider buying used. RV’s depreciate, they do not appreciate. 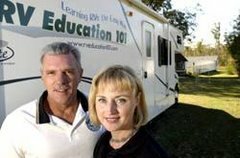 If you buy a new RV and trade it or sell it within the first couple of years you will lose a substantial amount of money. In many cases a used RV has already suffered the brunt of the depreciation and you don’t stand to lose as much if you trade or sell it sooner. This of course will depend on how much you pay for the used RV. 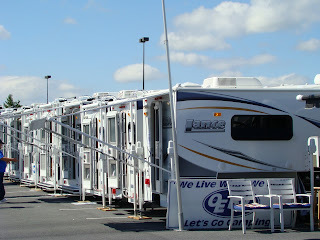 Most RV dealers use the NADA guide for Recreation Vehicles to determine used RV pricing, www.nada.com Used RV prices are based on the age of the unit, the condition, options and mileage, if it’s a motorized RV. 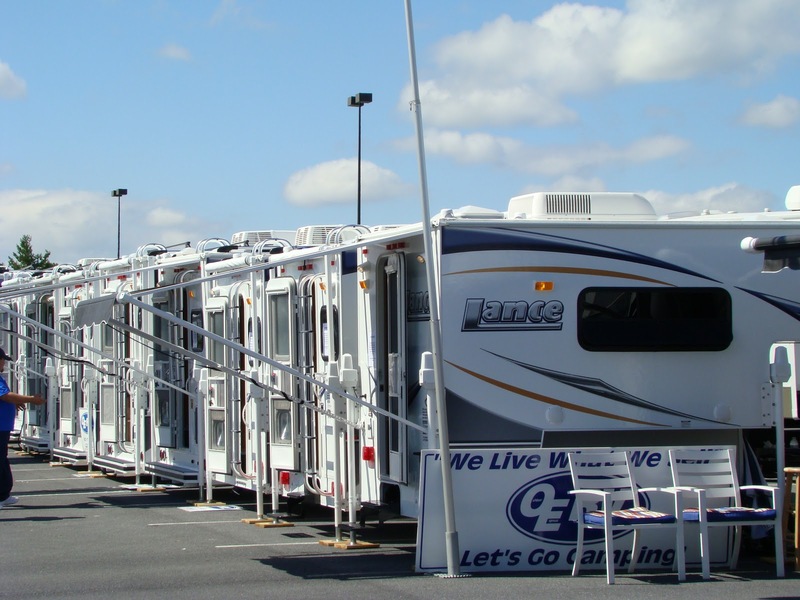 The NADA guide offers wholesale and retail pricing for used RV’s, and all NADA pricing assumes the RV is in good condition, and proper working order. Ask to see the NADA price for the unit you are considering purchasing, or look it up on the Internet. For accurate figures you will need to know the make, model, year, options and for gasoline motorhomes, the chassis manufacturer and mileage. You wouldn’t pay full Manufacturer Suggested Retail Price (MSRP) for a new RV, so you shouldn’t pay full NADA retail price for a used RV either. Some used RV’s are in more demand than others, but if the used RV is in good condition and everything operates properly a fair price would be somewhere between the NADA wholesale and retail price guidelines. Another consideration when thinking about purchasing a used RV is the finance terms and interest rates. Because the RV is used, banks offer shorter finance terms and higher interest rates compared to new RV financing. Be sure to consider the cost, how you plan to use the RV, warranty, and how long you plan to keep the RV when deciding whether to buy new or used.